Lemonade Pockets: Happy New Year! 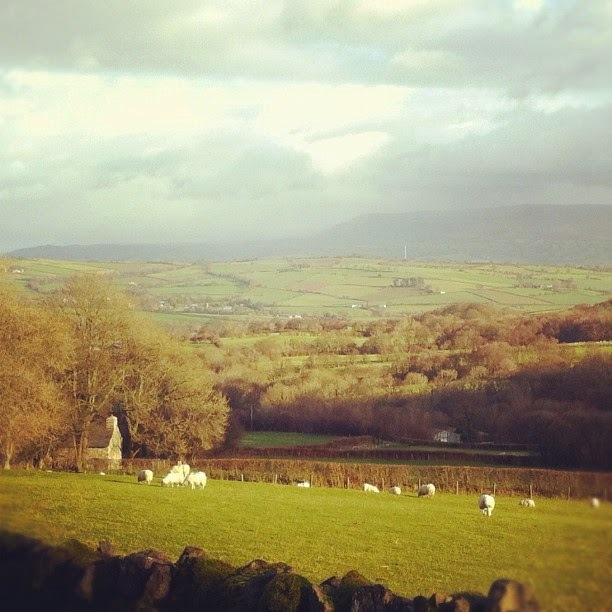 I'm here in Wales for a week, for a few days away with our regular gang of boys and girls. We are just recovering from the excesses of the New Year, which we saw in with a bang, don't you worry. The post New Year resolutions are starting to kick in, and I began with a DIY facial on New Year's Day. I started with Eve Lom cleanser, which I'm a big fan of, as you can read here. Yes, it's expensive, but it lasts a long time and is worth the initial outlay. 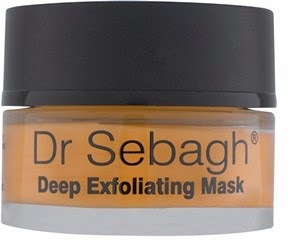 I then followed this with Dr Sebagh's Deep Exfoliating Mask. I discovered this when I was given it as a freebie, back in the day, and it is definitely one product I would buy again and again. Last time I bought it was when it was on offer at the Duty Free shop in Gatwick Airpot. It's certainly worth shopping around, as it's expensive. Use Deep Exfoliating Mask to give your skin a boost, as it gets rid of dead skin cells, and unblocks pores, making it appear brighter and more radiant. It contains azelaic, glycolic and lactic acid. I always look for products containing glycolic acid, as it helps with wrinkles, acne scarring and hyperpigmentation. Glycolic acid is the queen of acids, as it acts with a corkscrew motion, swirling around pores to really give them a good clear out. Leave the mask on for 10 minutes (take care to avoid the eyes, nose and mouth) and then rinse off. Another mask containing glycolic acid, is Körner's Sparkle Brightly Renewal Mask, which I use regularly, after finding in TK Maxx for a bargainous £6.99. I always find Korner products at great prices in TK Maxx, as I think the range isn't sold anymore. They are great products and worth popping into your local TK Maxx for. The glycolic acid and vitamin C in this mask will help your skin look clearer and feel softer, helping with pigmentation and any patchiness. 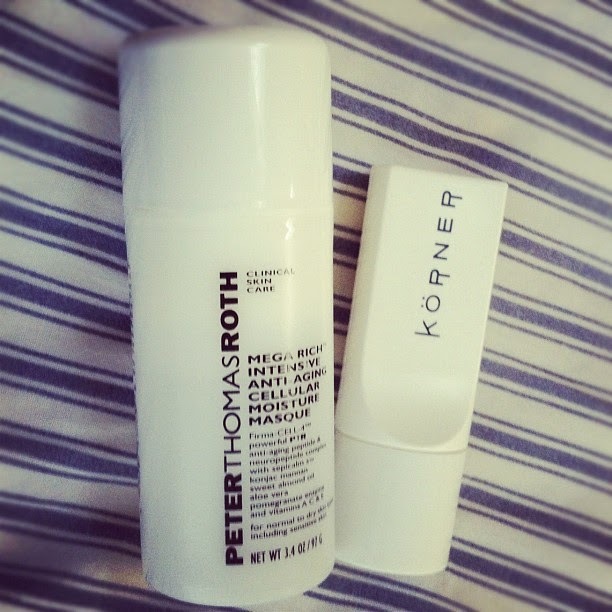 I follow the glycolic mask with Peter Thomas Roth, Mega Rich Intensive Anti-Aging Cellular Moisture Masque. This is another TK Maxx bargain, which I picked up for £5.99. Formulated with powerful anti-ageing complex, plus sweet almond oil, aloe vera and vitamins A C, E. It contains anti-oxidants and leaves your skin feeling younger and plumper, helping to improve the look of fine lines. Then my usual serum / eye cream / moisturiser combo to follow. A country walk in the bracing wind just about finishes me off.